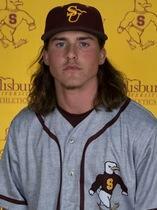 The lone run turned out to be all Salisbury needed, as starting pitcher Jimmy Adkins (Delmar) went the distance, tossing 143 pitches en route to his first complete game of the season. Adkins fanned six batters while scattering six hits across his nine innings of work. The win also marks the first shutout of the season for Salisbury.